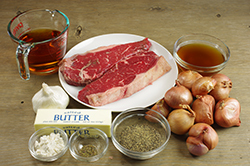 This is a classic preparation for a New York strip steak. 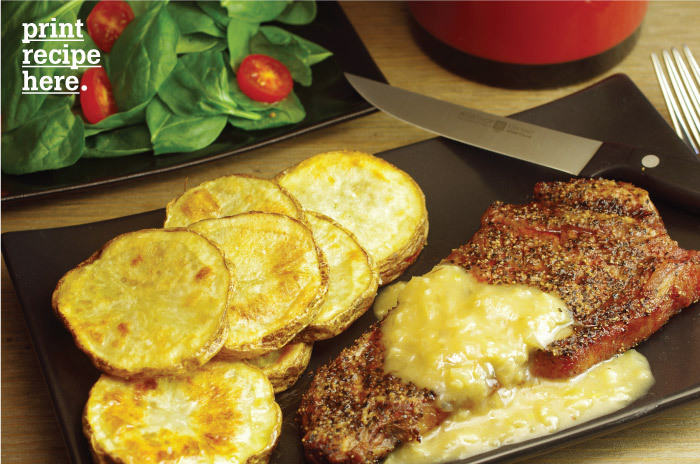 The coarsely cracked black pepper is pressed into the steak, and while it seems like it may be too much, the flavors come together beautifully when cooked. The classic version includes a pan sauce made with the drippings but since we’re grilling this one, the sauce starts with butter. 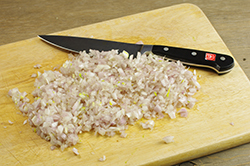 The shallots and Cognac are typical, and when you taste the combination you’ll understand why. The simplicity of this dish is what has made it timeless. Some things just don’t need to be changed much. These would go very well served with garlic-infused mashed potatoes and a spinach salad. 1. 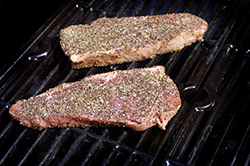 Season the steaks to your liking with salt on both sides. 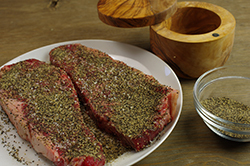 Press 1 teaspoon of the pepper into both sides of the steaks. Set aside. 2. 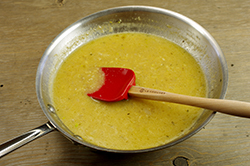 To make the sauce: In a large skillet over medium heat, melt the butter. 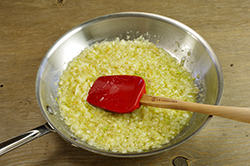 Add the shallots and garlic and cook for about 4 minutes, stirring occasionally, until the shallots are soft. Add the thyme and Cognac and cook for 2 minutes. Add the flour and mix well to smooth all the lumps. Cook for 2 minutes. Add the beef broth and cook for 2 minutes. Set aside and keep warm. 3. Prepare the grill for cooking over direct high heat. Place the steaks directly on the cooking grate. Cook for 4 minutes. Flip and cook for 4 more minutes for medium-rare, or to your desired degree of doneness. Remove to a platter and let rest for 3 minutes. 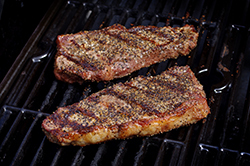 To serve, top each steak with one-fourth of the sauce.